PM hails Friday meeting with EU foreign policy chief to repair relations after labeling controversy, but says 'friction' still remains. 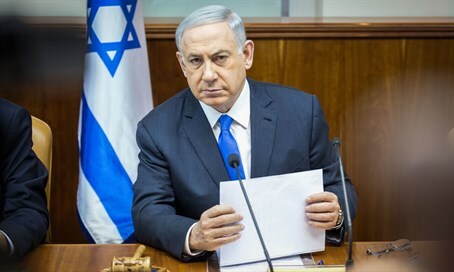 Prime Minister Binyamin Netanyahu on Sunday morning related to Israel's reported smoothing-over of relations with the European Union. On Friday, it was announced that Israel had reopened diplomatic channels with the EU over the peace process, which were frozen following the EU's decision to label Jewish-made produce from Judea and Samaria. "Israel and the European Union have agreed to return relations between us to the right track," Netanyahu confirmed in a statement at the start of Sunday morning's cabinet meeting. "In talks I held at the end of the week with European Union foreign policy chief Federica Mogherini, I heard from her that the EU is opposed to any boycotts against Israel and also that the act of labeling produce does not reflect their stance regarding the final borders of the State of Israel, which, in her words, can only be determined via direct negotiations between the sides, Netanyahu related. As a democratic country, Israel "deserves to receive support from Europe, not just criticism," Netanyahu added. The return to normal relations is a "welcome step," the PM said, but added: "of course that does not mean that there was no friction; there are things which we do not agree with. And that does not mean that there aren't frictions between specific countries within the European Union either." "The very fact that the Foreign Secretary of the European Union comes out strongly against BDS, as well as against sanctions in general against Israel is obviously a step in the right direction," he added. Netanyahu also confirmed reports that United States Vice President Joe Biden would be visiting Israel soon, but noted no date had been set for his visit.